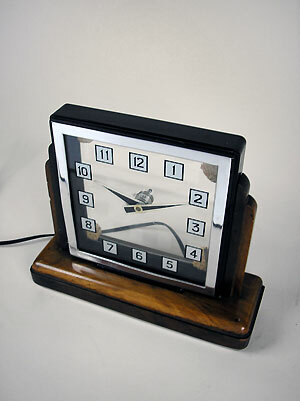 antique-clocks.com.au LinksHandy links to the best websites in the world for information about antique clocks Contact usIf you have a query, send us a message. We look forward to hearing from you and helping you! 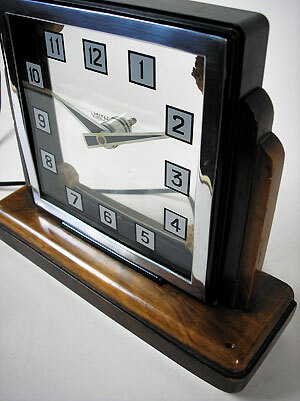 This is an English Smith Electric mystery clock, the dagger hands in the transparent glass dial having no apparent connection to the electric drive in the base. The clock base and frame are walnut with a chromium bezel around the glass dial.